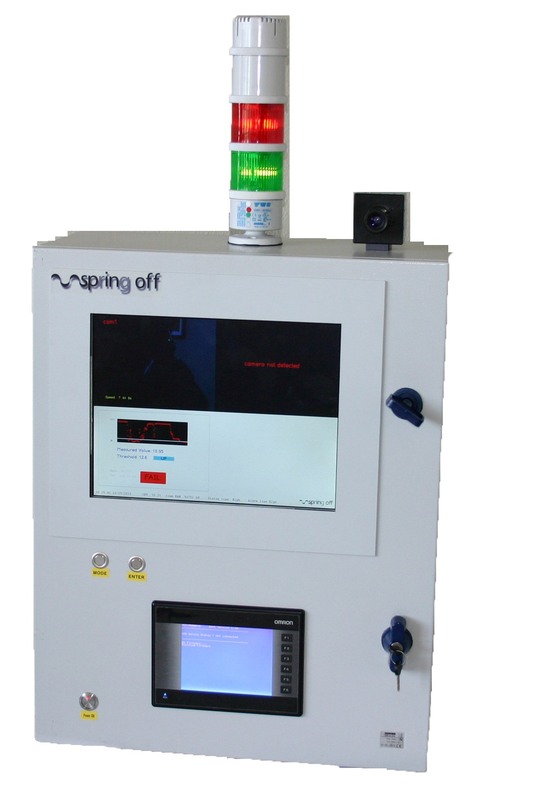 The coating Detection system is the measurement video system developed by Spring Off for the online monitoring of the industrial process of coating rubber profiles. The system has been designed for the automatic detection of the painting on the surface of the gasket when a fluorescent pigment sensitive to UV light is inserted in the varnish used. -Box containment cameras and Illumizazione IP551.